Team assembles at stark tower they have a comm. 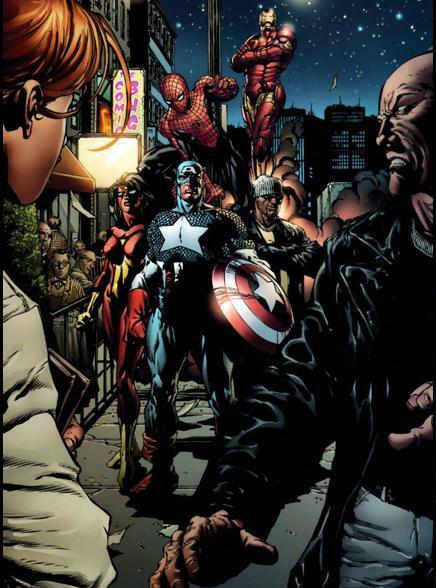 Link with Maria hill before they track down Electro and return to Rykers where they get a name. Dr. Kyle Lykos aka sauron. So our team jets off t the savage land. Once they land they get attacked by a t-rex. They put him down right before wolverine threatens to cut Spiderwoman’s head off. Art and colors still a highlight. Team has great chemistry and dynamics. Spiderman is just brilliantly used here. 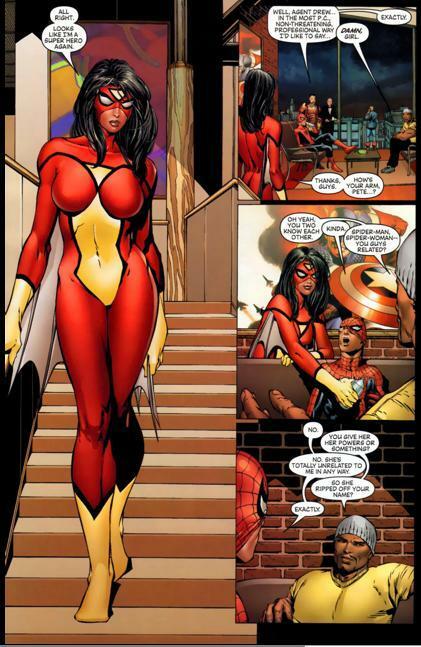 Spiderwomans anatomically correct super suit is…..aww inducing 🙂 Story was ok, but again more set up. Wolverine’s ominipresents rears its ugly head. Story was slow paced…that’s not everyone’s cup of tea. It lacked a discernible wow factor.